DCS Europe is one of Britain’s largest distributors of Health and Beauty products supplying discount retailers and wholesalers throughout the UK. Established in 1994, the company achieved phenomenal growth with sales rising from zero to £50 million in just seven years. 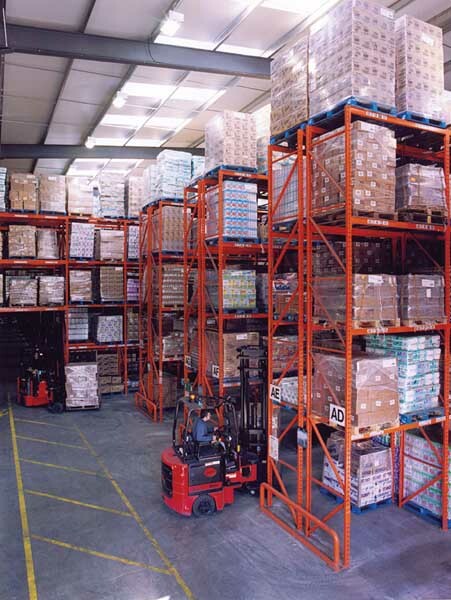 The company operates from two sites, its head office, which is also a state-of-the-art distribution facility, is based at Stratford-upon-Avon. 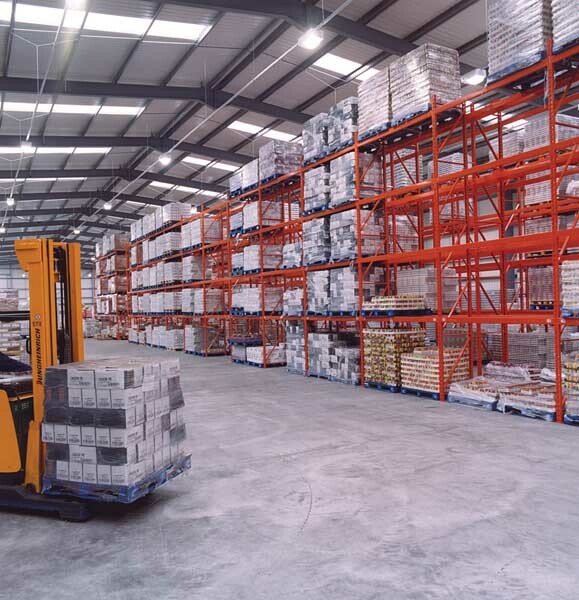 Indicative of the company’s ongoing commitment to providing its customers with the best possible service, is its continual investment in extending and upgrading its storage and distribution facilities. 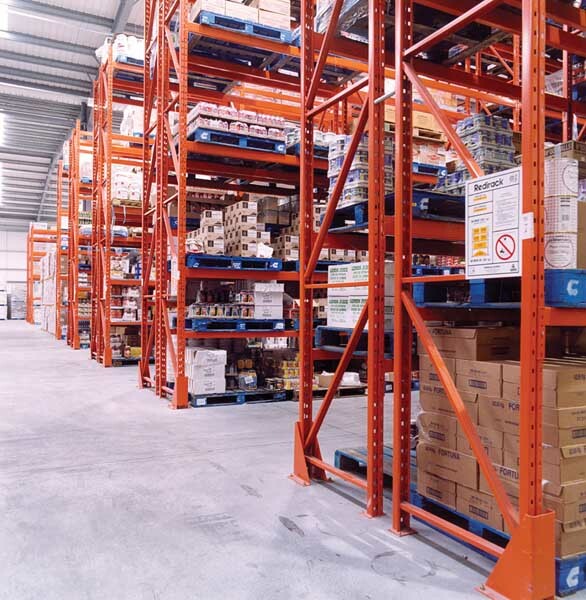 The latest installation is a narrow aisle racking system comprising of 14 double runs and two single runs. 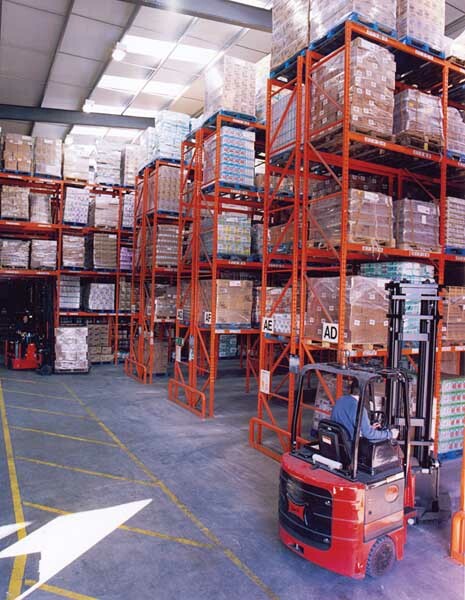 Bottom pallets are stored on the floor with three beam levels above. 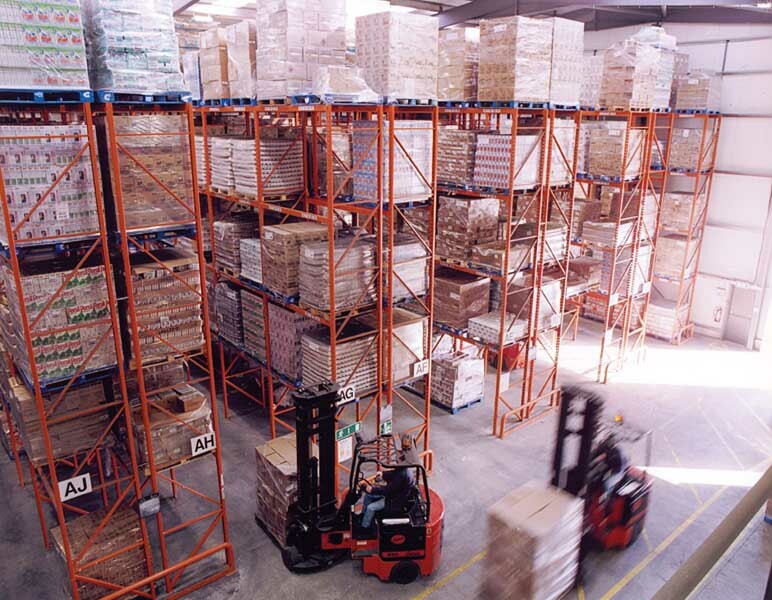 Standard 1,000mm x 1,200mm pallets are used with two pallets being stored at each level. 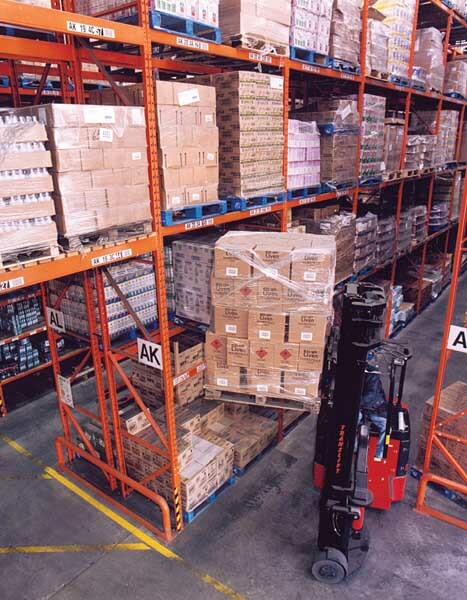 The recently installed racking features Redirack’s sacrificial leg throughout. This unique accessory enables pallet racking frames to be repaired quickly and easily. 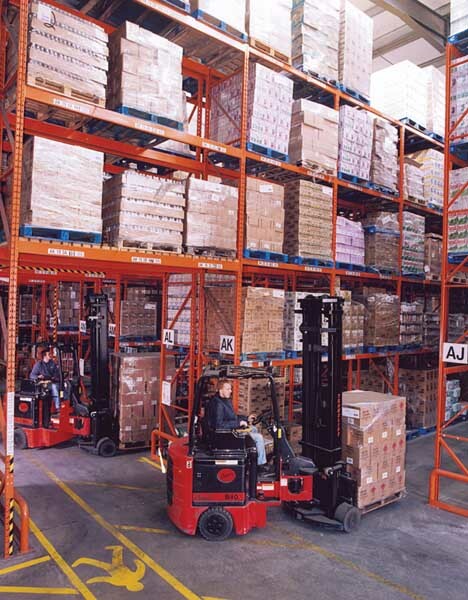 Completing the installation is a fork lift truck tunnel running from front to back of the racking block and rack end barriers. The racking over the tunnel is boarded as an additional safety feature, and Redirack organised the racking to be labelled. 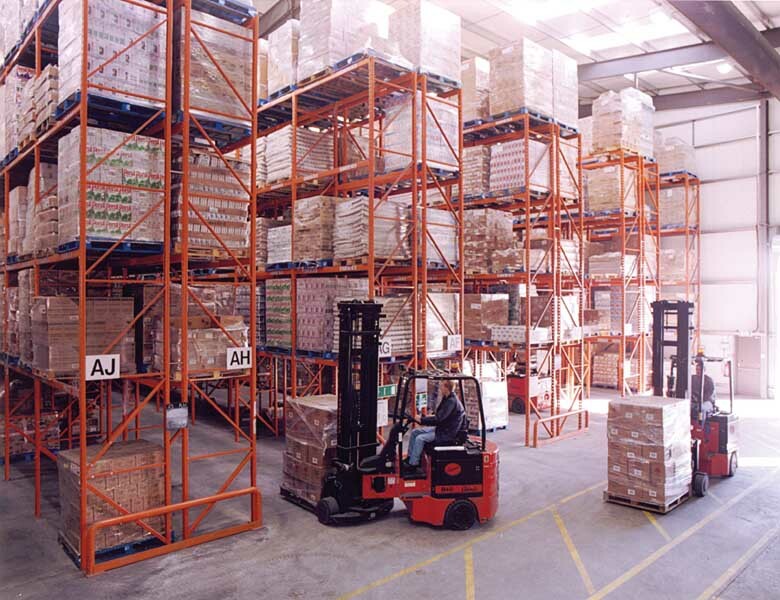 This enables the operators to scan and record a location while picking or putting away, important for the warehouse management software.